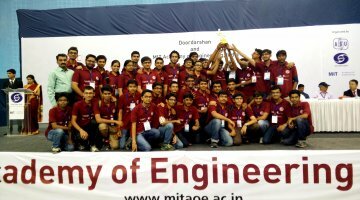 Dhanik Gohel, Student of B.E. 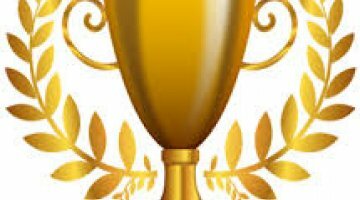 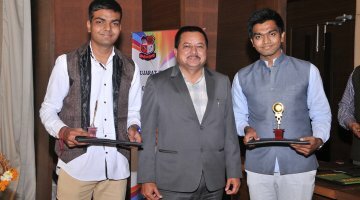 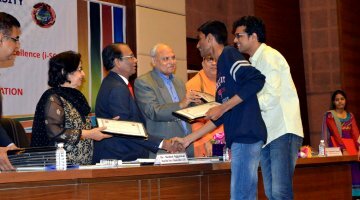 Mechanical Engineering Department Won GTU's Prestigious "Innovative Students' Co-Creation Award for Leadership and Excellence (i-SCALE)" for his remarkable efforts towards founding & organizing "Sahitya Sarita: A Gujarati Literature Festival" Which was first of this kind Literature festival dedicated only for engineering students in the history of engineering field in Gujarat state. 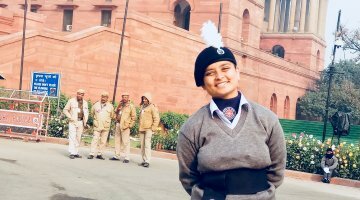 Hemankshi Ishwar student of computer department and member of National Service Scheme (NSS) LDCE unit, represented Gujarat Battalion at Republic day Parade, Delhi in presence of Honorable Prime Minister Narendra Modi. 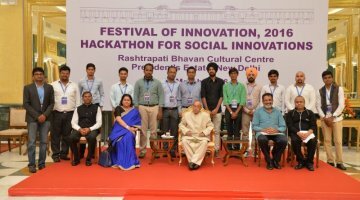 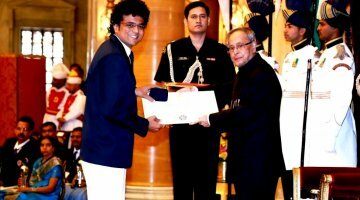 Madhish Parikh received India's highest honoured Youth Award - "Indira Gandhi NSS Award" from the honorable President of India, Shri Pranab Mukherjee at Rashtrapati Bhawan, New Delhi for his extraordinary service in National Service Scheme. 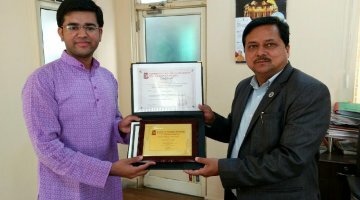 Out of 36 Lac NSS Volunteers from India only 32 received this prestigious award and he was one of them.